Our Cottage in Kodaikanal is a five bedroom cottage on two levels that is furnished neatly to accommodate up to 14 adults comfortably. One additional bed is also available on request at extra cost. There are five double bedrooms with four attached bathrooms and a round children's room. It is very comfortable for an extended family get together or friend’s family’s reunion. Mr. Pratap Singh from Delhi called us and told that he and his Family are planning for a holiday in Kodaikanal for 5 days. They enquired about our cottage House of Pegasus and informed us about their needs. They wanted a cab for all 5 days. They also made it clear that rooms, Bathrooms and bed sheets should be very clean. We managed a cab for Mr. Pratap Singh and his family for all 5 days and checked all the rooms and bathrooms and replaced all the bed sheets and pillow cover to new once. We told them whenever they need any help they should call us. We also arranged bonfire at night for them along with dinner. 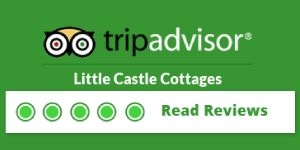 It all started by booking rooms through online service at Little Castle Cottages. As we reached cottage they greeted us. Cottage was up to our expectations it was clean and all the bed sheets and pillow cover were looking new. They also provided us with a guide service at a reasonable rate. They also arranged bonfire with dinner. It was a pleasant stay.